This is a branch of the CROSBIES OF ARDFERT, extinct Earls of Glandore, themselves scions of a family long settled in the Queen's County and in County Kerry, and latterly represented by the Crosbie Baronets, of Maryborough. THE RT REV JOHN CROSBIE, Lord Bishop of Ardfert, appointed to that See in 1601. The Queen's letter to the Lord Deputy of Ireland, Lord Mountjoy, dated from the manor of Oatland, in 1600, directing his appointment, describes him as "a graduate in schools, of English race, skilled in the English tongue, and well disposed in religion." The Bishop was previously Prebendary of Disert, in the Diocese of Limerick. The Lord Bishop of Ardfert died in 1621. DAVID CROSBIE, of Ardfert, Colonel in the army, Governor of Kerry, 1641, stood a siege in Ballingarry Castle for more than twelve months. He was afterwards Governor of Kinsale for CHARLES I; and in 1646 he inherited a portion of the estate of his cousin, Sir Pierce Crosbie Bt, son of Patrick Crosbie, who had been granted a large portion of The O'More's estate in Leix. 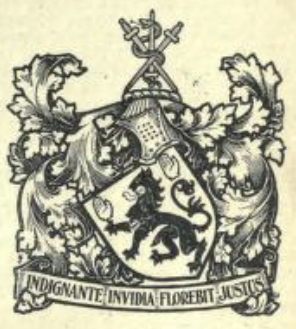 SIR THOMAS CROSBIE, Knight, of Ardfert, High Sheriff of County Kerry, 1668, knighted by His Grace the Duke of Ormonde, in consideration of the loyalty of his family during Oliver Cromwell's rebellion. He was MP for County Kerry in the parliament held in Dublin by JAMES II in 1688, and refused to take the oath of allegiance to WILLIAM III. 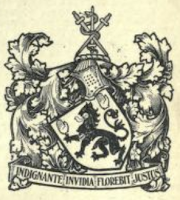 By a very peculiar, probably unique, settlement, executed on the marriages of Sir Thomas Crosbie and his eldest son respectively, to the two sisters, on the same day (1680), a new settlement and redistribution of all the family estates was made, by which those of Ballyheigue were appointed to the issue of the last marriage. PIERCE CROSBIE (1792-1849), of Ballyheigue, High Sheriff of County Kerry, 1815, who espoused firstly, Elizabeth, daughter of General John Mitchell. She dsp. Kathleen Matilda; Rosa Marguerite; Marcia Ellen. BRIGADIER-GENERAL JAMES DAYROLLES CROSBIE CMG DSO JP DL (1865-1947), of Ballyheigue, High Sheriff of County Kerry, 1894, who married, in 1894, Maria Caroline, daughter of Major James Leith VC, Scots Greys, and granddaughter of Sir Alexander Leith, of Glenkindie, and had issue, an only child, OONAGH MARY. BALLYHEIGUE CASTLE, near Tralee, County Kerry, was originally low, long and thatched, facing on to an enclosed courtyard, where there was a stone tower, part of an ancient castle. The original house on this site was constructed about 1758, but was renovated and enlarged to the design of Richard Morrison ca 1809. 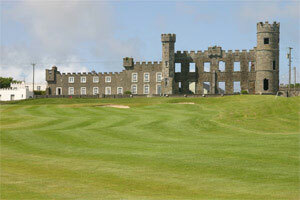 The last member of the family, Brigadier Crosbie, sold Ballyheigue Castle in 1912. The building was used as a prison at the time of the Irish civil war in 1920. It was burnt in 1921. Very little of the original remains, but some renovation has taken place and there is holiday accommodation at the site, now surrounded by the Golf Course. A wing was reconstructed and remodelled about 1975, to accommodate use as apartments, with the remainder of the building now ruinous.